Elijah has called Ahab, the prophets of Baal and Asherah and all the people to the Mount of Carmel. Israel is to prepare to meet their God! (see Amos 4:12-13) Ahab has no fear of this seemingly unarmed man against the great assembly called to the mountain for a mountaintop experience. 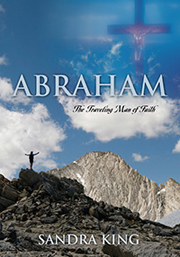 Ahab has slipped so far into wickedness that he has forgotten the power of God is with Elijah! Elijah has no fear either because he will do all that God asks him to do according to His Word and then will trust in His God to reveal His mighty power and will. God and the man of God must work together. Elijah tells the people to get two bulls – one for the altar of Baal and one for the altar of God. A bull is also known as an ox which represents a “servant.” These sacrifices will be a burnt offering for atonement of sin to the two Gods the people are worshiping—the True God, Creator of heaven and earth, and the false god Baal. Elijah gives the first choice of the bulls to the Baal worshipers. “Let them cut the bull up into pieces and put it on the wood but not set fire to it.” The God who answers by fire will be the true God. (1 Kings 18:24) All of the people agreed that this was good. Since the people believed that Baal was the god who controlled the weather, they were sure Baal would send lightning that would ignite a fire from heaven to earth and consume the appropriate sacrifice. It will be God who controls the universe who will send lightning that will set the fire to consume not only the sacrifice, but the altar, wood, stones, water and the earth. The Baal worshipers prepared their bull for sacrifice and placed it on their dry, dead altar. Then they called out the name of Baal from morning until about noon for fire to fall on their dry altar, “O Baal, answer us.” 1 Kings 18:26 There was no response. Baal had no voice! Then the prophets of Baal started dancing around the altar in a frenzy trying to get the attention of their god. Elijah began to mock them, firing them up even more. “Shout louder!” Maybe Baal is sleeping or busy. So they shouted louder and slashed themselves with swords and spears as was their custom. They cut their own bodies until the blood flowed leaving wounds and scars trying to get the attention of their god. Perhaps they could win the favor of Baal if they showed him the extent to which they would go to get his approval so he would answer them. Maybe the bond of blood would move him to action. The blood of the false prophets was supposed to pay for the propitiation of sin with Baal. The frenzy became uncontrollable as they shouted, moaned, groaned and prophesied incoherently in their loudest voices until they were exhausted. They continued this for hours until the time of the evening sacrifice at 3:00 pm. There was no response from Baal. He was a dead god who had no voice or power. It is now Elijah's turn. It is God's appointed time for the daily, evening sacrifice. Elijah will offer a burnt offering for atonement of sin. This sacrifice is to be fully consumed by fire according to God. Jesus became the propitiation of the sin of the world by shedding His blood as the Lamb of God at 3:00 pm –the same time that the lamb was being offered in the temple for the burnt offering for atonement. Elijah calls the people to him. “Come here to me.” v30 The people gathered around Elijah. Jesus also called His followers to Himself and had them gather around Him to hear His Word. God's Anointed Word is manna and water from heaven both the Living Word Jesus and the written Word. Elijah took twelve stones, one for each of the tribes descended from Jacob, to whom the Word of the Lord had come, saying, “Your name shall be Israel.” v31 Jacob was his earthly name given to him by his earthly father. Israel was his spiritual name given him by the spiritual “Man” Jacob wrestled with. This spiritual Man is the preincarnate Jesus. Jacob means “deceiver” and represents his fleshly nature. Israel means “one who strives with God or Prince with God” and represents his spiritually transformed, Godly nature. After wrestling with the spiritual Man, Jacob will no longer walk the same. As Israel, He will now walk with God leaning upon Him—not in his own strength but in the power of God. “Not by power nor by might, but by My Spirit,” says the Lord. 12 stones – represent all Israel – the 12 tribes of Israel. The kingdom of Israel is divided at this time. The northern kingdom headed by King Ahab was only ten of the twelve tribes. The tribes of Judah and Benjamin who eventually became one tribe, were the Southern Kingdom. Elijah used 12 stones to build his altar to God indicating that it is the unified, whole of transformed Israel that God sees, not the divided kingdom. Israel must be represented to God as one composed of twelve unified tribes. There is power in unity. God, Jesus and the Holy Spirit act as One with one Will, one purpose, one power, one Word, one Spirit, one faith, one sacrifice, one Body and one Love. They want Christ's Body to operate the same way. Elijah took the 12 stones and placed them side-by-side as one altar “in the Name of the Lord.” Physically they were divided, but God saw them spiritually as one! 12 is also the number of Divine Government. God began establishing an earthly, spiritual nation through the sons of Jacob/Israel who would be the leaders of His divine government on earth under the Law and the Prophets. Jesus began building His spiritual kingdom on earth under grace with 12 Jewish apostles who would be the living foundation stones of His temple in the hearts of humanity, and would also be the foundation stones of the wall around the temple of God in the New Jerusalem. Jesus also does not want division in His Body because it weakens it. God sees the Body of Christ as One Body with Jesus as the Head whether Jew or Gentile, male or female, bondservant or free. Then Elijah “dug a trench around the altar large enough to hold two seahs of seed.” v32 This trench was deep enough to hold two seahs of seed. God's Word and ways are deep. These two seahs of seed symbolize the circle of the Word of God – the two Testaments. Jesus in His parable about the sower and the seed said that the seed represents the Word of God. Scripture interprets scripture. Jesus is the Word of God. He is revealed in both Testaments. Jesus is the Perfect Servant and Sacrifice. He is the burnt offering for atonement, not just for the Israelites but for the whole world. He is also the water of the Word who sent the water of the Holy Spirit to give us the power to become His altar of sacrifice. As Jesus was a Living Sacrifice to God, we are to be living sacrifices to God and His altar through the power of Jesus and the Holy Spirit. Faith in God and obedience to Jesus' Word will make us a united, living altar to God through our right living. Notice that Elijah is doing everything in order. The sacrifice has been prepared, and the altar rebuilt. Next Elijah lays the wood upon the altar and places the sacrifice upon it. The wood will ignite the fire that will consume the flesh of the sacrifice. Jesus became a Living Sacrifice to God on the wooden cross. It is the shed blood of Jesus on the cross that keeps the fire of the Holy Spirit burning. The seed and the water in the encircling trench represent the Word and Holy Spirit that surrounds the altar of our hearts and brings unity and holiness. Next Elijah tells his servants to “Fill four large jars with water and pour it on the offering and on the wood.” v33 During biblical times, jars were made of clay. They were earthen vessels. Four is the number of creation. These four earthen vessels (jars) were full of water. First they were to pour the water on the sacrificial offering and on the wood. This is symbolic of Jesus on the cross as the final burnt offering for atonement for sin. Jesus is the bull – the Perfect Servant and Sacrifice to God. The water represents the water of the Anointed Word that prepares a person for sacrificial service to the Lord and reveals the character of God. Jesus is the Anointed Word. Elijah tells the servants to fill the four earthen vessels with water and pour it over the sacrifice again. And then a third time. Three is the number of the fullness of the Divine Godhead. The water overflowed from the sacrificial bull down into the trench and filled it. The Father sent the Son as a Living Sacrifice for the propitiation of sin. Because of His sacrifice, the Holy Spirit was poured out upon all believers and fills us as we allow His cleansing Hand. The water and the blood were as one. (see 1 John 5:6-7) We are His living stones who are to be drenched in the water of the Holy Spirit and Word. 4 x 3 = 12 – enough for all of God's people and God's Divine government. This water was poured out 12 times for all Israel not just the 10 tribes of the Northern Kingdom. Because Jesus is the Head of God's Divine Government, He poured the water of His Holy Spirit and Word upon all flesh who believe in His finished work on the cross. These twelve stones drenched in water would make God's altar—all of God's people with Jesus in their hearts and drenched in the Holy Spirit and Word of God! It may have seemed like Elijah was making the sacrifice more difficult but he was merely following God's instruction. God knew that water would create a spontaneous combustion which would attract lightning. Today we are warned not be in water when it is thundering and lightning outside. Lightning causes fires today on earth. Lightning would also pulverize stone, burn the earth and wood and turn the water into steam that would evaporate in the air. God has control over the weather as Jesus did. Jesus calmed the storm and walked on water because He is the bridge between heaven and earth. Jesus didn't have to have the waters parted for Him as man did because He is God in the flesh. Even though water was scarce, Elijah at God's instruction poured it out on the altar. The voice of God is described in scripture as thunder and lightning, (Psalm 29:3, 7-8; Job 37:2-4; Matthew 28:3) God knows the plan. Elijah must just do what God asks him to do. God will do the rest. Elijah did everything the Lord would have him do to prepare the altar for sacrifice. Atonement had to be made for sin in order to extend God's mercy. Elijah doesn't dance and shout to earn God's favor. He doesn't manipulate and do some ritual or chant. Elijah has done all that God requires him to do according to His Word. Then Elijah prays simply and earnestly to God who hears the prayers of the righteous and answers them. God told the prophet Jeremiah, “Call on me and I will answer you and tell you great and unsearchable things you do not know.” 33:3--9 Jeremiah and Elijah knew God in an intimate way and just talked honestly with Him to let their request be known. James 5:17 says “Elijah was a man just like us. He prayed earnestly that it would not rain, and it did not rain on the land for three and a half years. Again he prayed, and the heavens gave rain, and the earth produced its crops.” Elijah was a man of prayer. Elijah reminded God of His faithfulness in the past. Then he asked God to let it be known today that “You are God in Israel and that I am your servant and have done these things at your command. Answer me, O Lord, answer me, so these people will know that you, O Lord, are God, and that you are turning their hearts back again.” vv36-37 Elijah also reminded God that he was His servant. He was not asking for himself but for the others who had been led astray by their leadership -- King Ahab and Jezebel. Elijah's prayer was not a selfish one. It was a selfless one! He wanted God to accept the sacrifice to atone for the sin of His rebellious people. He wanted God to turn their hearts back to Him, and he wanted God to get the glory, not him! Elijah could have judged and condemned them but instead he asked God to save them from themselves! Out of his love for God and the people, Elijah would offer the appropriate, God-ordained sacrifice for the atonement of sin until the once-for-all Perfect Sacrifice for sin was given by God Himself through His precious and chosen Son. This is the heart that God wants us to have toward erring Israel, erring Christians and the lost. Elijah did all that he was to do; the rest was up to God. To God be the glory! God is not impressed with ritual. He is impressed with a humble, faith-filled, obedient and changed heart. Too often, the flesh of mankind thinks that God is impressed by our good deeds. We can do good deeds with the wrong heart attitude! He is impressed with our changed hearts that seek to walk in His love and ways because of our belief in His love gift of the finished work of His precious Son. Our mutual love for God will birth in us the desire to do good works for His Kingdom so others will know Him intimately also by coming into His arms of love for salvation. Jesus said, “If you love Me, you will obey My commandments.” Love was God's motivation; it must be our motivation. It's not what we do, but what He has done because of His undying love for humanity—His children whom He originally created in His very own image and likeness. It's not what Israel did for Him, but what He did for Israel who continually rebelled and sinned against Him as those who love and serve Christ do. He continually sent someone to save Israel because He loves them so. He loves the Body of Christ in the same way. God has never completely forsaken Israel, and He won't completely forsake the Body of Christ in spite of the fact that the Church and Israel have forsaken Him time and time again. Israel and the Church often take the glory that belongs to Him alone. It is God's heart's desire that we all love and obey Him humbly, freely and willingly out of love, as He so graciously loves us even though we have all – Jew and Gentile – fallen short of His glory.